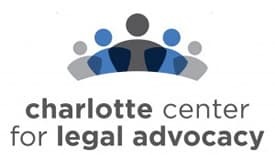 Immigrant Justice Program attorneys with the Charlotte Center for Legal Advocacy will participate in an information and question-and-answer session on the Deferred Action for Childhood Arrivals (DACA) policy. This event, scheduled for 6:30 p.m., Thursday, April 19, in the College of Health and Human Services, Room 132, will address recent movement to end DACA and provide details about free individualized legal consultations. The Dean of Students Office, Multicultural Resource Center, Student Government Association, the student organization We Come in Peace, Counseling and Psychological Services and the Latinx/Hispanic Faculty and Staff Council are contributing to this event.